General Motors Co will stop selling cars in India from the end of this year, drawing a line under two decades of battling in one of the world's most competitive markets where it has less than a one percent share of passenger car sales. The decision was announced as part of a series of restructuring actions from the Detroit automaker on Thursday, and marks a significant blow to India's strategy of encouraging domestic manufacturing. GM says it would no longer market its Chevrolet brand - its only brand of cars marketed in India - despite India's promise as a market set to overtake Japan as the world's third largest in the next decade. But it doesn't plan to leave India entirely. It plans to keep operating its tech center in Bengaluru and to refocus its India manufacturing operations by making one of its two assembly plants in India – the one at Talegaon, about 100 km (62 miles) southeast of Mumbai – into an export-only factory. It plans to sell the Halol plant in Gujarat to Chinese joint venture partner SAIC Motor Corp .
"We are not giving up benefits India offers as a local cost manufacturing hub with an excellent supplier base which is extremely competitive," Stefan Jacoby, GM's chief of international operations, said in an interview. GM's exports from India, mainly to Mexico and Latin America, nearly doubled to 70,969 vehicles in the fiscal year than ended on March 31. The Talegaon plant has a capacity of 130,000 vehicles a year. Jacoby said the move to turn the Talegaon assembly into an export-only plant will not impact GM Korea and its position as an export hub. India will export vehicles mostly to Mexico and South America, among other destinations, while GM Korea will ship Korean-made cars to North America, Southeast Asia, Australia and Pakistan. Dan Ammann, GM’s global president, said the restructuring actions for India announced on Thursday in essence cancels "most" of the plan GM unveiled in 2015 to invest $1 billion in India to deploy newly-designed vehicle architecture as part of a Global Emerging Market vehicle programme or GEM for short, and build a new line of low-cost vehicles in India. The decisions to significantly scale down GM's operations in India are results of months of analysis over "where we are going to place our bets (globally) as a company," Ammann said in an interview. The move is the latest blow to Prime Minister Narendra Modi's "Make in India initiative," aimed at making the country a global manufacturing powerhouse. Last year, Ford Motor Co shelved plans to produce a new compact car family designed mainly for emerging markets. India and China had been slated to be the main manufacturing hubs for the new range that was set to begin production in 2018. The auto sector is a major employment generator accounting for about 29 million direct and indirect jobs in India. Moreover, the $93 billion industry contributes 7.1 percent to the nation's gross domestic product and almost 50 percent of India's manufacturing output. Ammann said GM looked at many options but determined that the investment originally planned for India would not deliver the kind of return other global opportunities offered. GM plans to continue to work on the $5 billion GEM programme, which GM is developing with SAIC Motor. Ammann said the programme remains on track, even without India now, to account for about 2 million vehicles a year in global sales volume, mainly in Latin America, Mexico and China. Despite being an early entrant, GM has struggled to boost its sales and market share in India in part because it has failed to launch low-cost yet feature-rich vehicles that Indian buyers prefer, according to analysts. Many of them also blame the high cost of maintaining and servicing Chevy cars for deterring cost-conscious buyers in India. 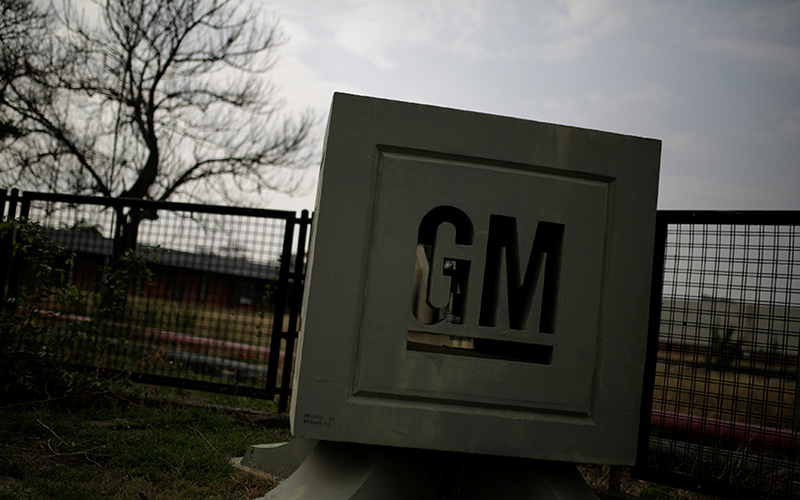 GM said in 2015 it aimed to double its India market share to around 3 percent or more by 2020. But its market share fell to below 1 percent in the year ended March 31 from 1.17 percent the previous year - even as India's market grew 9 percent to climb above the 3 million vehicle level. GM's volume in India fell by a fifth to 25,823 vehicles in the year ended March 31. The GEM vehicle architecture, which is being engineered as an emerging-market platform technology for markets such as China, Brazil, Mexico and India, was envisioned to help GM come up with more cost-competitive cars. But for India, GEM was still too pricey a technology since it has been designed under GM's global vehicle safety, performance and other standards. To be successful in India, Jacoby said one option for GM was to "give up on implementing global platform and vehicle standards". The other was to team up with a local partner to run full operations as an automaker designing products and manufacturing and marketing products locally. "We have made the decision that these two options are not for us," Jacoby said.